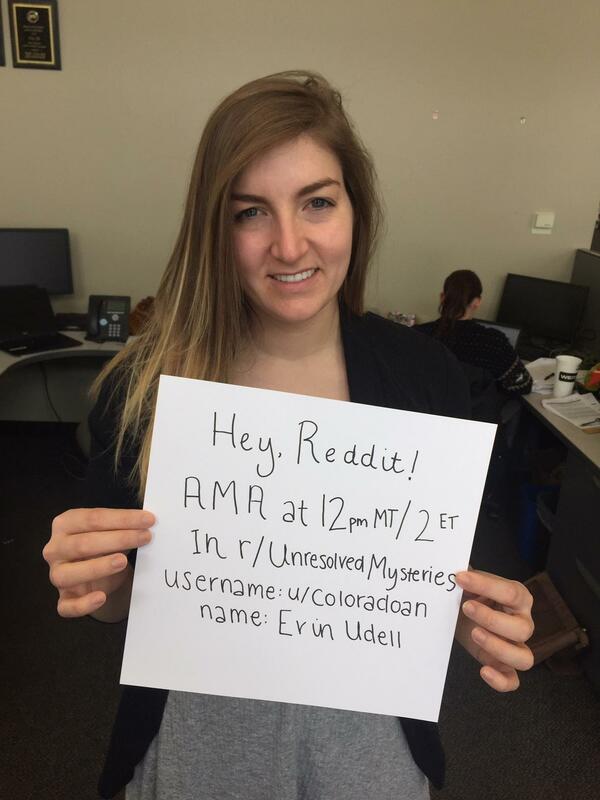 [crosspost] I’m Coloradoan reporter Erin Udell. I’ve spent the past five months delving into Ted Bundy’s crimes, his victims and his two little-discussed escapes from Colorado. AMA! I cover entertainment, history and culture for the Fort Collins Coloradoan in Northern Colorado. I’m also the host of “Hunted,” a new podcast about Ted Bundy’s time terrorizing Colorado. From 1974 to 1978, Ted Bundy abducted and killed at least 30 women and girls across at least six states. He slipped through sorority rows, preyed outside of schools and ski resorts and – as beautiful brunettes continued to disappear without a trace – gripped communities with with fear. After being arrested and convicted for kidnapping in 1976, Bundy was extradited to Colorado to face a possible trial in the murder of a nurse who had disappeared while vacationing in Aspen the previous year. Bundy had no intention of staying handcuffed, however. In 1977, he would go on to escape Colorado law enforcement twice. His second escape – from a solitary confinement jail cell in the sleepy resort town of Glenwood Springs – would become the precursor to Bundy’s most savage string of attacks yet. Three more murders, two trials, three death penalty sentences and an internationally-covered execution would follow, cementing Bundy as one of the most depraved killers in U.S. history. You can listen to “Hunted” on Apple Podcasts, Soundcloud and other podcasting apps. You can read Erin’s story on Ted Bundy and his victims at Coloradoan.com.